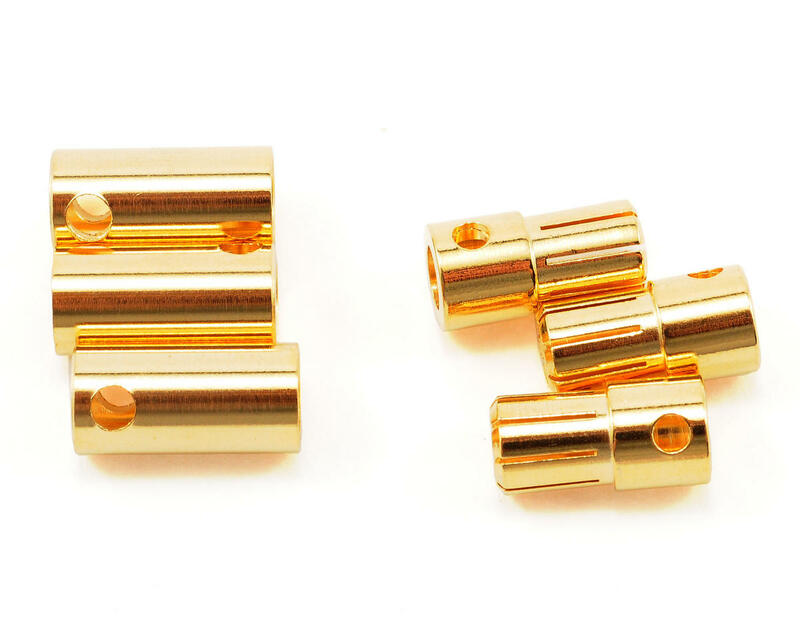 This is a set of six Castle Creations 6.5mm Bullet Connectors. The package contains 3 male and 3 female connectors. If you want something done right, you usually have to do it yourself. 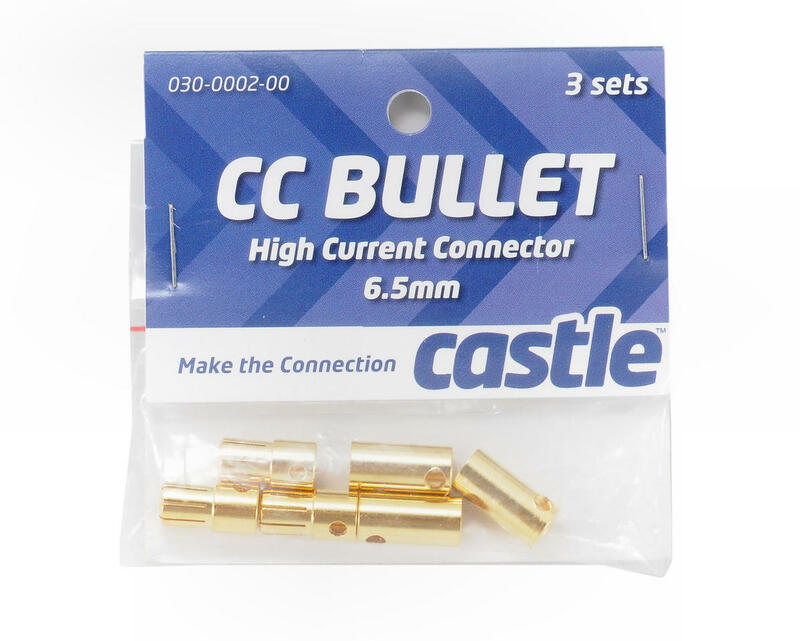 Castle Creations was never totally satisfied with the options for bullet connectors for high power applications, so they designed and manufactured their own. Castle Creations Bullets make a perfect connection, every time. Simple as that. Available in a lovely shade of gold and made in three sizes: 4mm, 5.5mm, and 6.5mm.